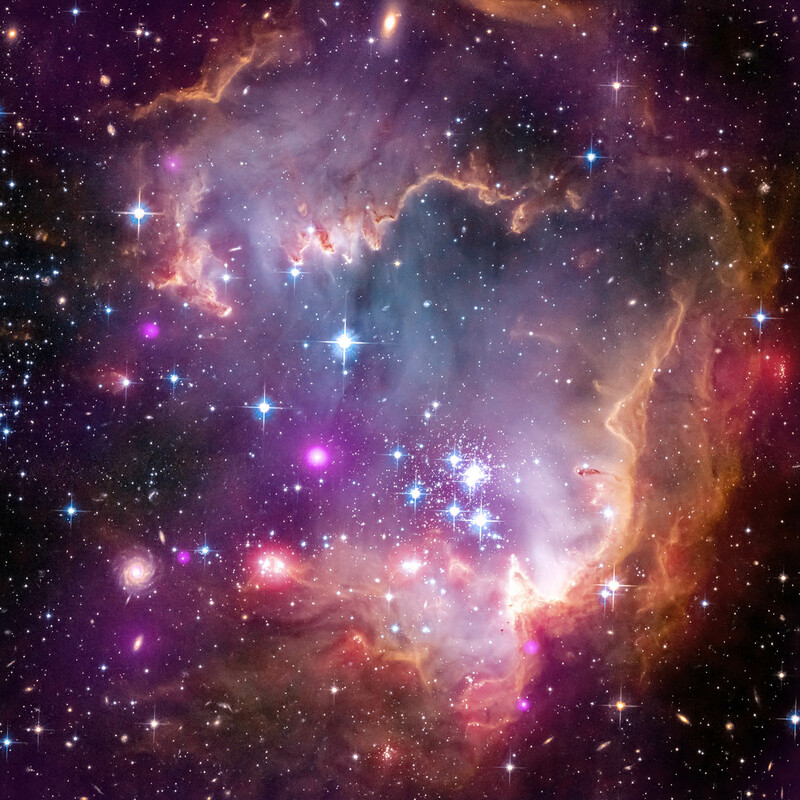 NGC 602 is a young bright cluster of stars located in the Small Magellanic Clouds. For those of you who don’t know the Small Magellanic Cloud is a dwarf galaxy that is 7000 light years wide (compared to our 400,000 light year width of the Milky Way). Fun fact is that this dwarf galaxy had the unfortunate run in with our beast of a galaxy and transformed into an irregular shape galaxy. It is also 200,000 light years away but it’s one of the closest neighbours to our own galaxy. In the image you can see that the radiation and shock wave from the star forming area in the center pushed away all the gas and lighter elements. It’s a gorgeous photo taken by the Hubble Space Telescope.